More than 17 million students started to go to school every day with the beginning of the new academic year. Since there are no lockers available at schools where students can keep their books and school supplies, carrying heavy and unbalanced weight result in muscular and skeletal system problems in children. Kardem Ulaş, Lecturer at IUE Vocational School of Health Services, Physiotherapy Program, stated that 30% of children experience muscular and skeletal system problems due to wrong choice of backpacks, carrying heavy and unbalanced weight, which results in poor posture and curved spine (scoliosis). Ulaş reported that pain felt in shoulders, neck, back, and lower back may go away with rest, however, sensation of pins and needles and numbness is another story that needs to be taken seriously. “These problems even destroy a child’s desire to go to school. School bag should be lightweight with large and soft padded straps where child can carry over both shoulders, not one only. Narrow and unpadded straps put a pressure on the vessels and nerves around shoulders, which may result in numbness and pins and needles. That can eventually cause shoulder impingement syndrome,” said Ulaş. Wearing both shoulder straps is important as it distributes the weight equally, indicated Ulaş and he said, “The backpack should be well padded, thin pads would cause sharp and hard school supplies to poke the child and cause injuries. 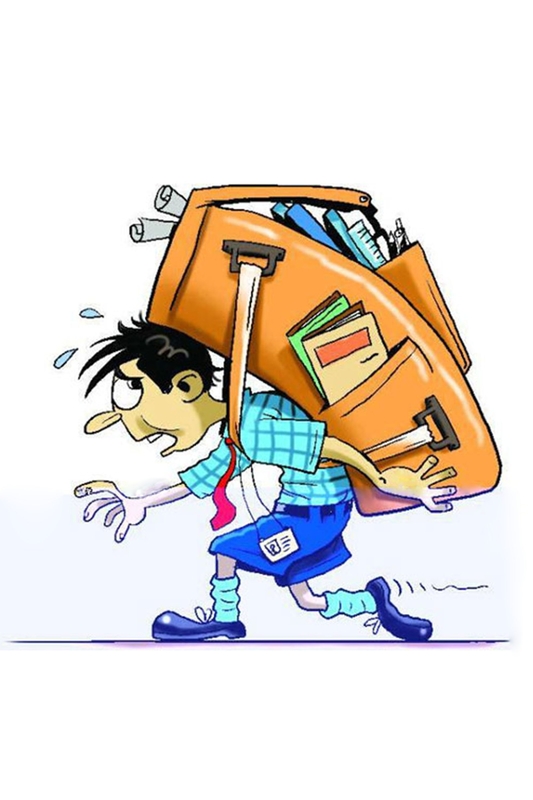 It should be lightweight; those who carry heavy stuff should opt for backpacks with wheels. TSE, CE sealed backpacks with multi compartments should be chosen”.